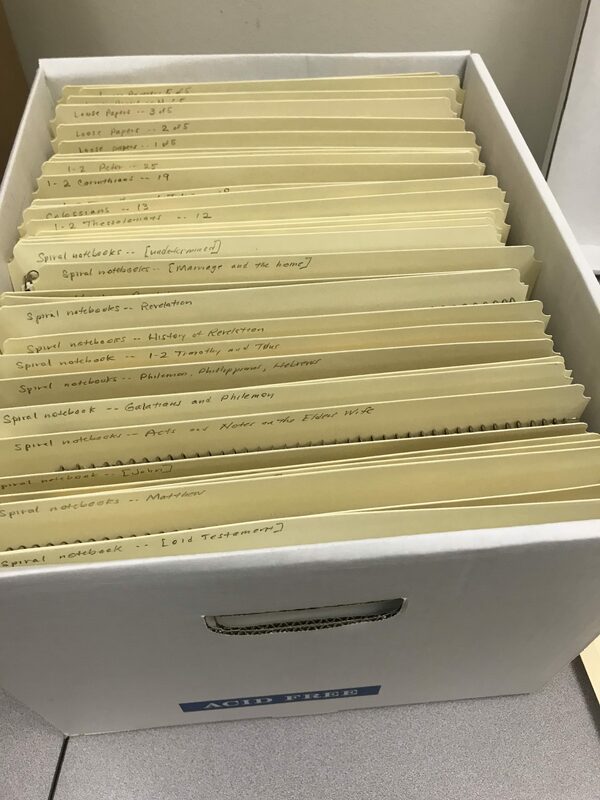 The Ethel Lorraine Webb Small Papers, 1960-1980, are now processed and ready for researchers. 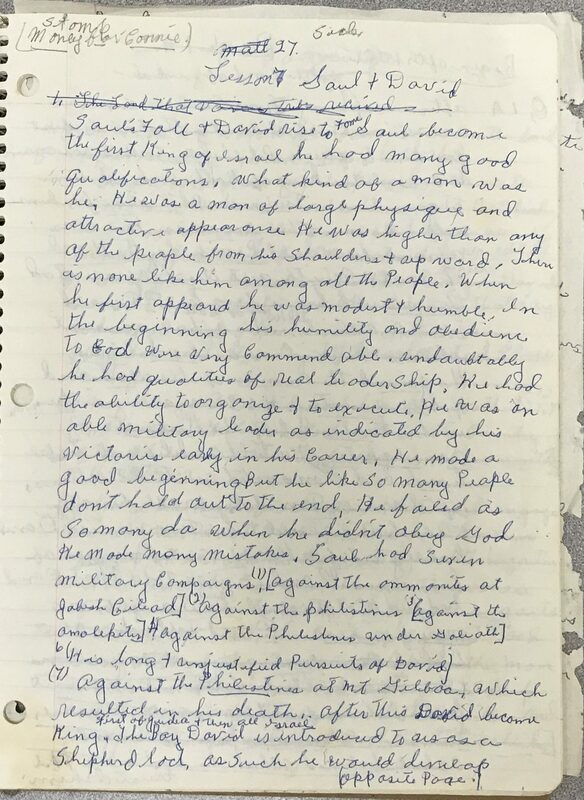 The Small papers contain twenty spiral notebooks, eight envelopes, and loose papers, used by Mrs. Small in the study and preparation for Bible classes. The finding aid for this 1.0 foot linear collection is now available here. Notebook of Old Testament Lessons, Ethel Lorraine Webb Small Papers, 1960-1980. Center for Restoration Studies MS #482. Milliken Special Collections, Brown Library. Abilene Christian University, Abilene, TX. Ethel Lorraine Webb Small Papers, 1960-1980, Center for Restoration Studies MS #482.